Pathways to History aims to investigate the history of public rights of way in Norfolk. The antiquity of the footpath network has never been fully researched and we are interested in a number of questions – How old are footpaths and green lanes in Norfolk? 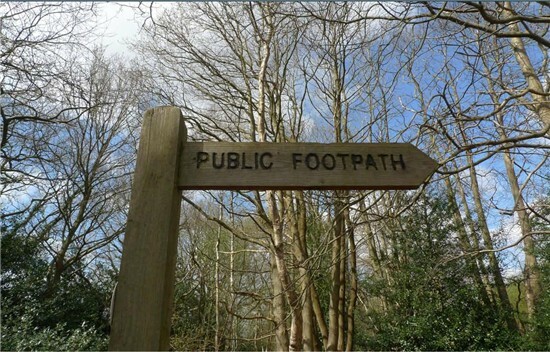 How has the number of public rights of way changed in the past? How do they relate to the wider landscape? We are looking for volunteers who are interesting in helping us to investigate the history of footpaths and green lanes by carrying out surveys of footpaths and green lanes to identify any archaeological features, ancient trees and hedgerows, or to get involved with archival research to uncover the history of footpaths by looking at old maps and documents. The fieldwork and research will be supported by landscape historians from the School of History at the University of East Anglia, and full training will be provided. Contact details – Dr Sarah Spooner, School of History, University of East Anglia, Norwich, NR4 7TJ, s.spooner@uea.ac.uk, 01603 592663.